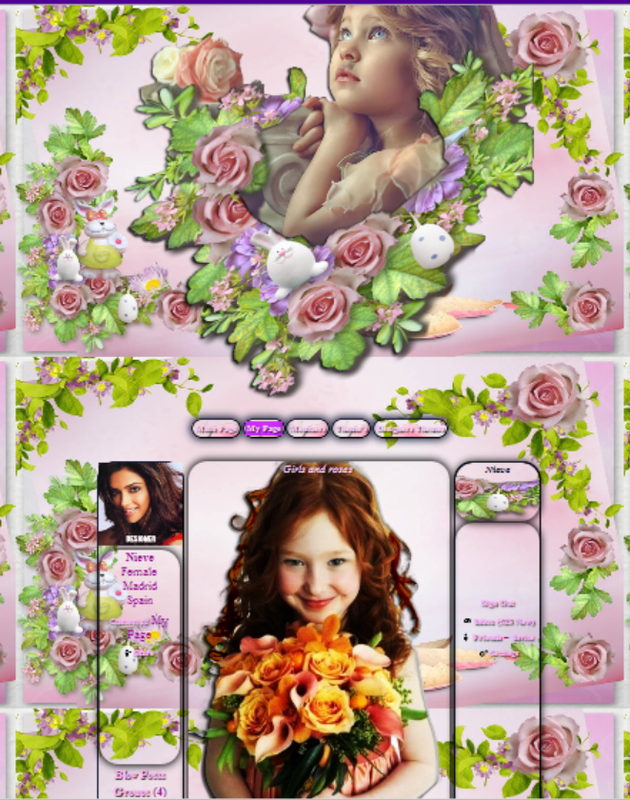 This entry was posted in Bright/ Happy Ning, Girly Ning, Ning Themes and tagged floral on May 8, 2013 by Nieve. This entry was posted in Bright/ Happy Ning, Miscellaneous Ning, Ning Themes and tagged Carnival on February 28, 2013 by Nieve. This entry was posted in Bright/ Happy Ning, Ning Themes and tagged baby, Blue, It's a boy on February 1, 2013 by Rev.MillieToups aka Starlight o)O(o.
I made this layout with a cute,cute image made by Michelle (Crafty) with scraps by Lacarolita's Designz. I made the layout's backgrounds, buttons, comment box and headers with PDN/PSP. This layout was made to be used on individual Ning profiles. No other website has my permission to host this layout or the images used in the layout. This entry was posted in Bright/ Happy Ning, Cute Ning, Emo Ning, Ning Themes, Skem9/ Skemaholics Ning, Skinny Ning on August 5, 2012 by Barbara Mc. I made this layout with an awesome image made by Michelle/Crafty. I made the layout's backgrounds, comment box and headers with PDN/PSP/Animation Shop. This layout was made to be used on individual Ning profiles. No other website has my permission to host this layout or the images used in the layout. 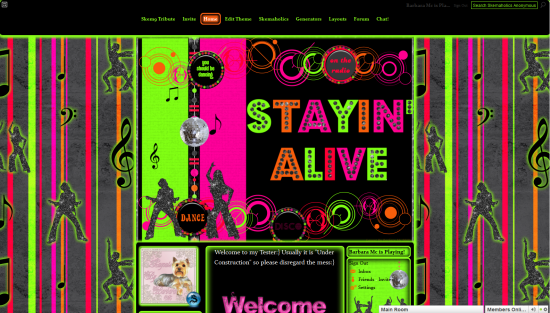 This entry was posted in Bright/ Happy Ning, Cute Ning, Music Ning, Ning Themes, Skem9/ Skemaholics Ning, Skinny Ning and tagged green, Ning Themes, Pink, skemaholic on July 18, 2012 by Barbara Mc.